Vuex is a state management pattern library for Vue.js applications. It serves as a centralized store for all the components in an application, with rules ensuring that the state can only be mutated in a predictable fashion. In Vue if you find yourself using the same data over and over, or making the same calls to load data to different components, you might need a solution offered by Vuex. Go through this tutorial, which offers an example to explain all the basics of Vuex. 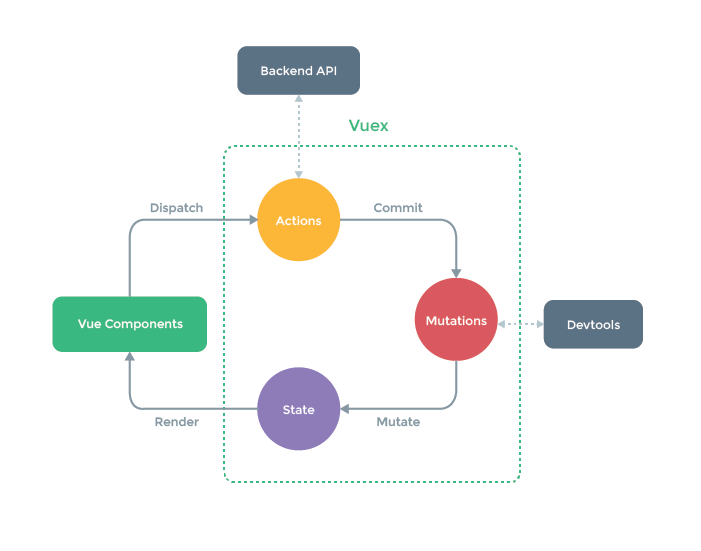 Learn about state, actions, mutations, getters, and helper functions provided by Vuex. Consider using modules to organize your codebase as your application grows. More details on modules can be found in the vuex documentation. The complete code of the tutorial's examples is available here. Read more about Vuex here, and find some examples on GitHub.